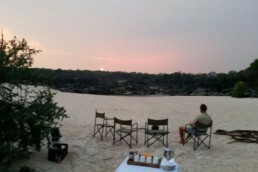 This hidden National Park in the south west corner of Zambia is ABSOLUTELY WILD in the original sense of the word. If you want to lose yourself in a world apart from tourists, then Sioma Ngwezi is a good place to start. 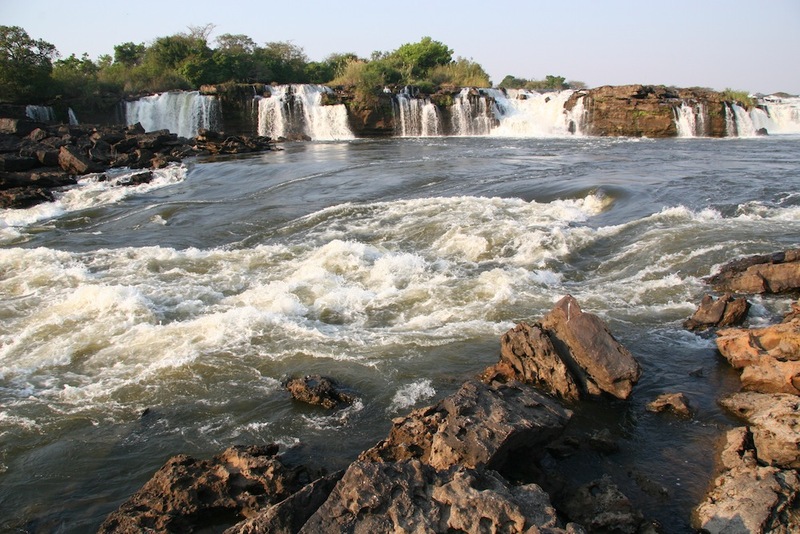 The added benefit of seeing the Ngonye Falls – the Zambezi’s SECOND LARGEST WATERFALL – and its location as part of an obvious route up to Liuwa Plains would be good reasons to keep this park on your radar. 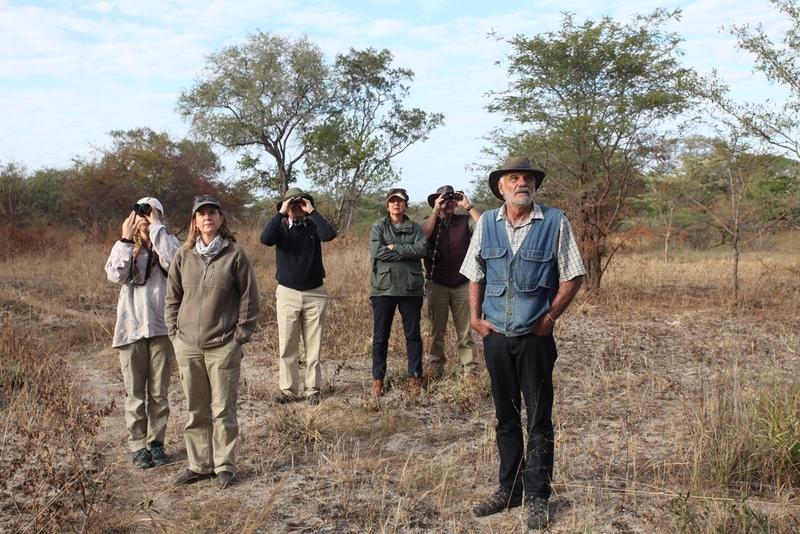 The ideal months are May to September when the game congregates around seasonal pans but don’t expect a high density wildlife experience – THIS IS WILDERNESS and although we have seen everything from wild dog to sable, you could just as easily miss the game. There are hardly any roads and no facilities if you ‘go it alone’ so best to link up with specific operators. A little to the east of Sioma Ngwezi and right along the main road to the park entrance you can find the Ngonye Falls. For those who like fishing, there are some lovely tigers that lurk in the rapids but the real beauty of visiting the Ngonye Falls are the natural rock pools or jacuzzis found along the the far eastern edge of the horse-shoe shaped falls. 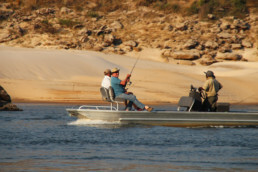 The Zambezi River that is found to the east of Sioma Ngwezi is known as the Upper Zambezi River and is beautiful, scenic and offers excellent tiger fishing. 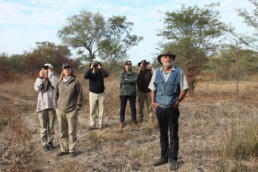 While the birding is excellent, the game viewing is limited by the human habitation that is sporadically dotted along the length of the Zambezi all the way up through Western Zambia. 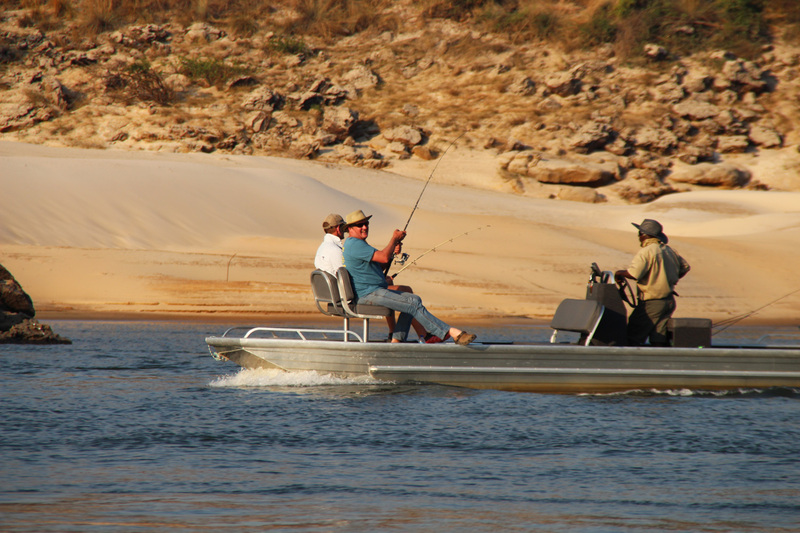 A brilliant combination of Mutemwa Lodge the Sioma Falls travelling by boat between both venues and staying in 2 different camps. This is one of the most popular ‘UP AND COMING’ SELF DRIVE ROUTES in Zambia as it adds on seamlessly to trips ending in Katima Mulilo from Namibia OR Chobe via Ngoma border post in Botswana. The Katima / Sesheke Zambia border post is busy and we recommend getting supplies and fuel in Katima before crossing. 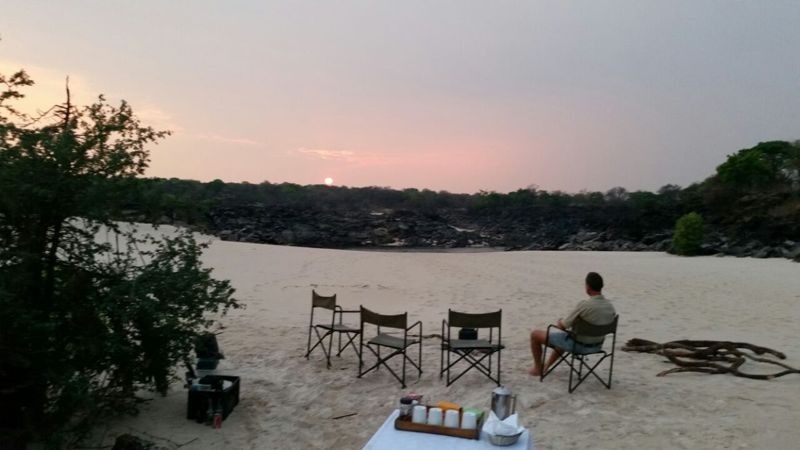 We recommend planning 2 nights at Mutemwa Lodge (enjoy a spot of fishing or day trip to the Sioma Falls) but if you are camping, then Kabula Lodge is a good spot. The bridge over the Zambezi at Sioma is your next landmark but if you wish to explore Sioma Ngwezi, fully inclusive safari packages are available through Mutemwa Lodge OR if you are fully self sufficient, you can speak to the DNPW authorities in Sioma and go off the ‘grid.’ There is also a campsite in the Ngonye Falls Community Park and they offer to take people out by boat to see the Falls but if you want the full “beer and G&T moment” in the Falls – best to speak to Mutemwa Lodge. After leaving the Sioma region behind, you will have the towns of Senanga and Mongu ahead of you. Both are classic African towns with Mongu offering more in terms of an overnight stop with camping at Mutoya (the Mongu option, not Lukulu!) 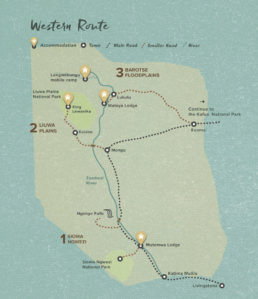 and various local hotels or inns ranging from budget to interesting! 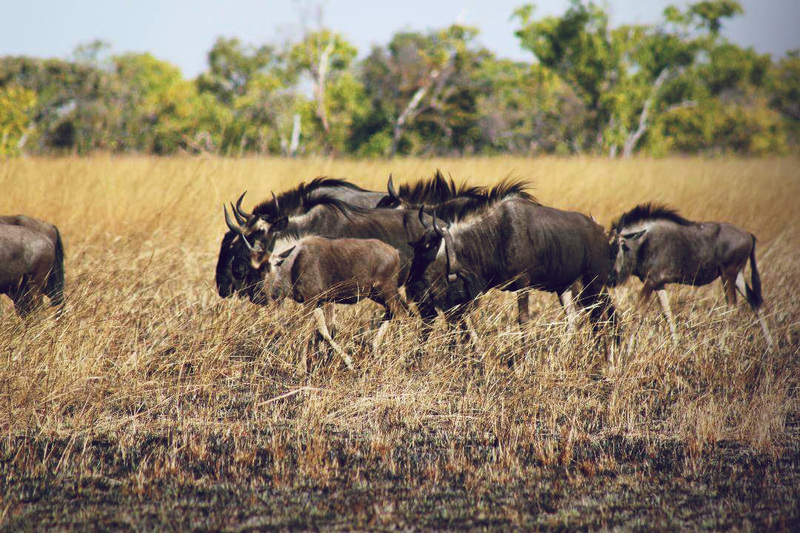 Mongu is where you would head across the floodplains to access Kalabo, the main point of entry to Liuwa Plain National Park and Liuwa offers a handful of campsites (booked through African Parks) or the magnificent King Lewanika Lodge. Once you have visited Liuwa, then most people either head back down to Sesheke / Katima OR begin to explore Kafue National Park. 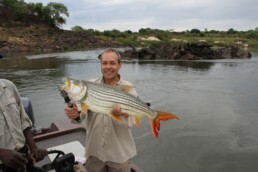 For those wishing to experience the legendary Barotse Floodplains tigerfishing, then you need to continue from Mongu onto the town of Kaoma. Making sure to refuel and carry extra fuel from Mongu, just before Kaoma is the turnoff to the 195km dirt road to Lukulu. This road normally takes about 5 hours and then, by following the dirt road through the Sancta Maria Mission, you will arrive at the Lukulu “Harbour” where the fishing camps like Lungwebungu or Matoya collect their clients. 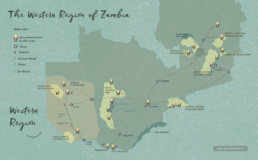 Although there are lesser known roads to explore, the conventional route back to either Mongu or into the Kafue would be to drive back to Kaoma (anther spot to refuel) and head on into the Kafue National Park. See more in this under the SOUTHERN ROUTE.